Sue MacClaine wrote her one woman show ‘Still Life’ about a life model of the ’50s called Henrietta Moraes. She performs it and poses while the audience draws. We went to Brighton on Sunday to see her. 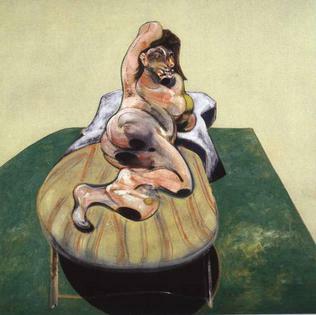 Moraes’ world is a basket of name-drop; she dined with Francis Bacon and posed for him regularly, knew Lucien Freud and was Maggi Hambling‘s lover until she died. 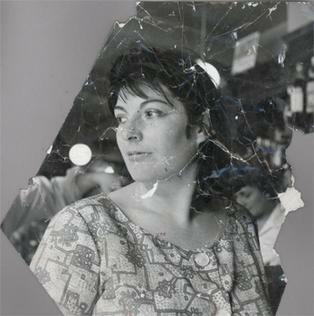 She wrote as well as taking her life modelling very seriously, fitted a few kids in, worked as a cat burglar, caravanned across Wales and Ireland in the ’60s with hippies and drank copiously. Like other alcoholic artists she tended to maudlin lament then startled with insane fiery presence. I thought MacClaine caught particularly well the in-the-moment quality of a psychedelic trip; the sense of continually re-arriving at the same point as it is pushed into our vision relentlessly. This worked with our need to keep Looking at her and really looking as we simultaneously drew. She wasn’t a mechanical model which is what I have found off-putting about the usual life drawing class; she was running the show and poses became infused with personality as we got taken on her trip. She broke up the flow not always timing herself, sipping wine which convincingly loosened her, wandered into the audience, staring into our eyes. It was the relationship between watcher and watched reassessed and I loved being on the other side. Philip Herbert a life model and actor of today has his own one man show which is biographical, ‘Naked Splendour’ with its own essence being very much himself. I love that too. It’s good to see what others do to remind me how I am different and where our themes naturally overlap. I am going to return imminently to my own life drawing play.